Something big and new is coming to Mercy High School. On February we will be hosting Tech Talk, a regional educational technology K-12 conference. The keynote presenter will be Dr. Liz Kolb of the University of Michigan School of Education. Her topic will be Passion-Based Learning With Everyday Technical Knowledge. 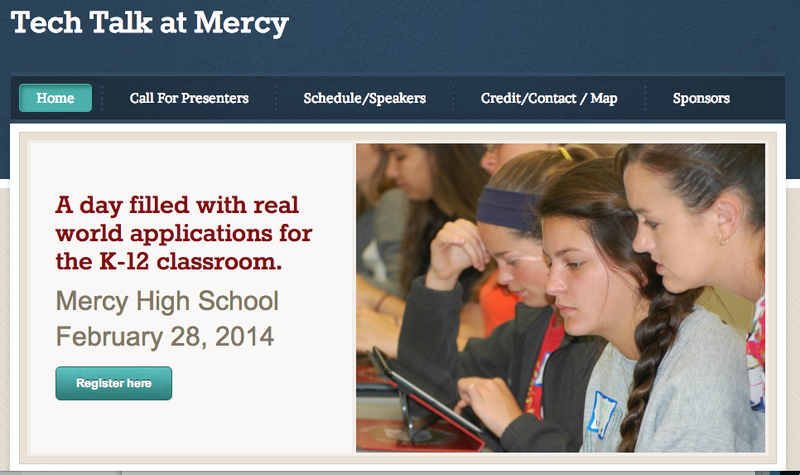 We hope to have some of the best presenters in the area, including some of the “stars” from the Mercy staff. The Call for Presenters link is open. Check this blog for updates on presenters, soon!